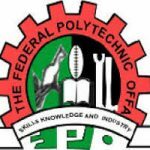 The Federal Polytechnic Bida is a Polytechnic located in bida, Niger state. 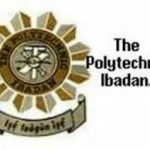 The Polytechnic offers a variety of courses ranging from the school of applied and natural science to school of information and communication technology. This various categories of schools has different major departments in them. Candidate are allowed to apply for admission into this Polytechnic, but they must meet some certain qualification. He or she must possess the National Diploma in the program been applied for with at least a lower credit in the exact field of interest. He or she must possess at least five credit at SSCE, GCE, WAEC, NECO or its equivalent in the relevant O’level subject combination for the program been applied for. He or she must possess at least a year of post National Diploma working experience. That is the normal Industrial Training. 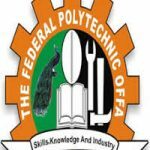 If you are applying for the Higher National Diploma Programme in the Federal Polytechnic Bida, from another school, you are required to send the transcript of your National Diploma Programme in your previous Institution to the Federal Polytechnic Bida. 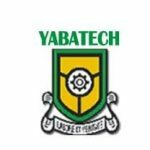 All transcript are to be directed to the registrar of the Federal Polytechnic Bida. 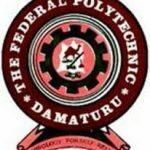 Those whose previous institution is the Federal Polytechnic Bida are expected to present their original statement of result when the screening for the admission process begin. You have the opportunity to decide how you want to pay. All you need to do is to navigate through the different payment options on the school’s portal and select the one that suits you best. The amount of the form is seven thousand naira only. This does not include the charges imposed by the bank. The payment options are either to use the RRR system, verve card, master card, or visa card. And also make sure the payment is made through the school portal. After payment, you can now fill your application form online. When you have filled your form completely and correctly, click on submit and then print out your slips. This ‘Print’ tab is usually activated only after successful payment. 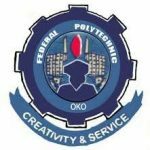 Usually, the Federal Polytechnic Bida places their admission list (both the first and second batch) on the Notice Board of the school. Candidate are expected to check their names on this admission list to confirm their admission status. Those who may not be able to get to the school can also check through the alternative method. That is, through their Jamb caps. Fill in your username and password in the appropriate boxes. Click on log in and set your exam year correctly. Navigate through the page and find the check admission status tab. Click on it and input your Jamb registration number. Click on check admission status and your admission status would be displayed. If you have been admitted, click on accept to accept it.